Take participants behind the scene to see the intricacies of kosher certification. 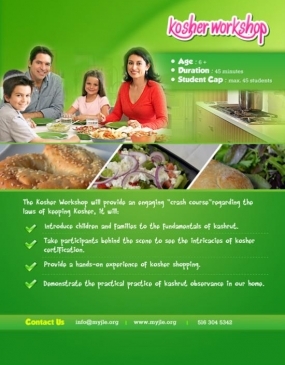 Provide a hands-on experience of kosher shopping. Demonstrate the practical practice of kashrut observance in our home.